At Cash Time... we understand! Cash Time Loan Centers has been Arizona’s leading source of trusted Title Loan and Personal Loan services for nearly 20 years. 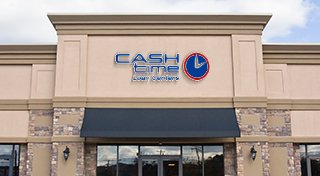 Locally owned and operated with headquarters in Scottsdale, AZ , Cash Time has helped over 300,000 families get the emergency cash installment loans they need. With multiple cash loan programs to fit your needs, Cash Time can offer a loan that works for you. We now have over 24 locations in the Phoenix and Tucson Metro areas, making your cash loan even easier. Walk in to any of our locations 7 days a week, or Schedule a Visit for even faster service. At Cash Time, we believe that everyone should have access to financial services when they need them. Bad credit or no credit is not a problem at Cash Time. Our Title Loan and Personal Loan deals are offered on cars, trucks, motorcycles, RVs and commercial vehicles. We can make you a fast cash loan even if you are still paying for your vehicle. If you already have a loan with someone else, you can save money by transferring your loan to Cash Time. Let us buy out your existing loan with our Loan Transfer program. Cash Time can structure your loan to fit your needs. Online, in person or by phone, Cash Time is here to help you with your financial needs. At Cash Time, we understand. Professional Customer Service Cash Time treats all of our customers with respect. Our philosophy is reflected in our actions. Everyone should have the opportunity to receive financial assistance when needed. Our locations offer private offices, professional employees and efficient service. Don’t discuss your Personal Loan, Title Loan or cash loan at a window or at a desk in the middle of the lobby where everyone is listening. When you apply with Cash Time, you’ll know we value your privacy and dignity. If you have bad credit, no credit, or you simply need a cash loan now, Cash Time will work hard to provide you with the cash you need. We are an ‘A’ rated company with the Better Business Bureau in both Phoenix and Tucson and a proud member of the Arizona Title Loan Association. On the Spot Approval Getting a personal loan, title loan, installment loan and other cash loans in Arizona or California can be difficult. It can take forever to get an installment loan from a bank, and out of state companies will send your loan for approval which can take days. If you need your emergency cash now, Cash Time can review your application and get you cash within minutes. No Prepayment Penalty We will never charge you additional fees or penalties for paying off your personal loan early. We even offer fully amortized Personal Loans and Title Loans that allow you to pay down the loan principal with every payment, eliminating those outrageous balloon payments. Discuss your options with a loan officer, and pay off your loan anytime! Flexible Repayment Plans For Title Loans, Installment Loans or Personal Loans, Cash Time offers a variety of payment options and terms to ensure you get a loan that works for your budget. Payment due dates, payment frequency and the length of your installment loan are all customizable, not to mention multiple repayment methods. We will stop at nothing to make sure your cash loan is perfect for YOU. Convenient Hours and Locations Cash Time Loan Centers are conveniently located throughout Phoenix and Tucson and serves all of California and Arizona 100% online. Our customer service department is standing by 7 day a week to service your needs. All of our locations are open 7 days per week, and our express loan centers offer extended hours for those of us with busy schedules. Industry Leadership Cash Time Loan Centers has been the leader in the title loans, personal loan, and installment loan market since 1997. Cash Time set the industry standard for fast and easy cash and installment loans, specializing in Auto Title Loans and Personal Loans in Arizona. All of our loans are secured by your motor vehicle, but at Cash Time, it is ok if you’re still paying for your vehicle.